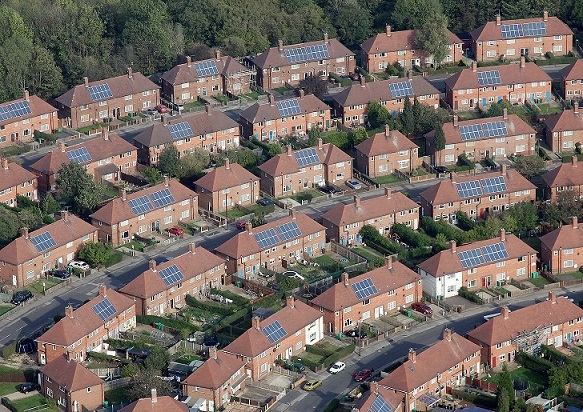 The feed-in tariff closed to new applicants from 1 April 2019 and, as has become customary under the scheme’s ‘boom and bust’ cycles, installers up and down the country rushed to fit and accredit new systems before the subsidy window slammed shut. More than 23,100 domestic installations were completed throughout January, February and March, representative of more than 75MW. However the most prolific source of FiT-accredited solar installations was the 50kW+ band, which recorded more than 85MW worth of installations in the first three months of the year. 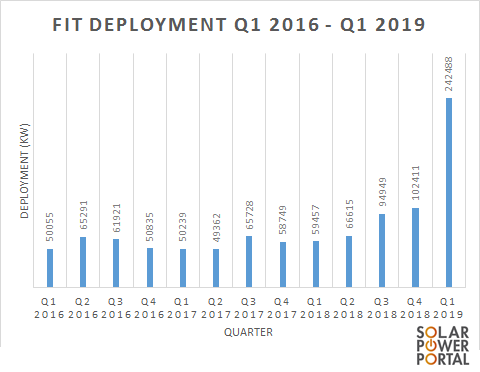 Across the four deployment bands, a total of 242,488kW of PV was installed, more than double the next highest quarter of deployment under the mechanism (recorded in Q4 2018, at 102,411kW). And that figure was significant enough to shift total deployment under the revised scheme, launched in February 2016, to more than 1GW. But despite the scheme’s late rush, a significant quantity of capacity was left unused in two of the four deployment caps. The two larger deployment bands – 50kW+ rooftops and standalone projects – both blew their deployment caps earlier on in the scheme but there remains almost 400MW of unused capacity sitting in the 0-10kW residential and 10-50kW small commercial rooftop bands. More than 340MW of unused capacity sits in the residential band alone, a source of much frustration for an industry that has pointed out that a reallocation of that capacity could have supported the deployment of community-funded installations.